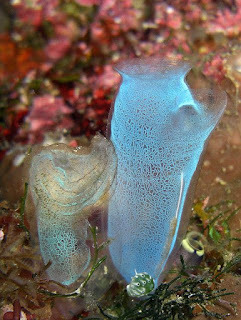 Bottle Shaped Bluebell Tunicates Are Really Amazing Creatures. Bluebell tunicates are one of the most weird looking creatures that lives under the ocean. 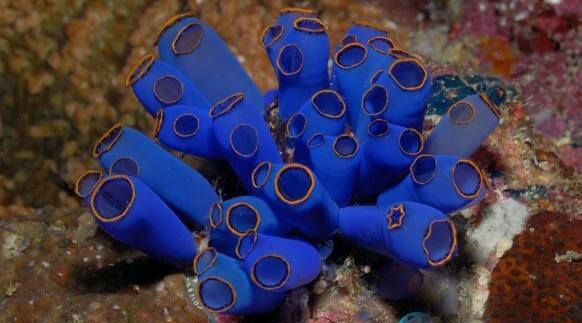 They are also known as Blue Sea Squirt. 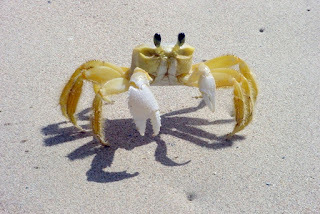 Scientists call it as Clavelina moluccensis. The genus name "Clavelina" means "little bottle". 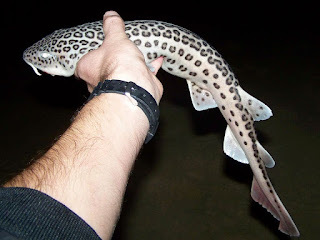 From the photos you can clearly see that these creatures resembles plastic bottles. There are 47 types of Clavelina tunicates. 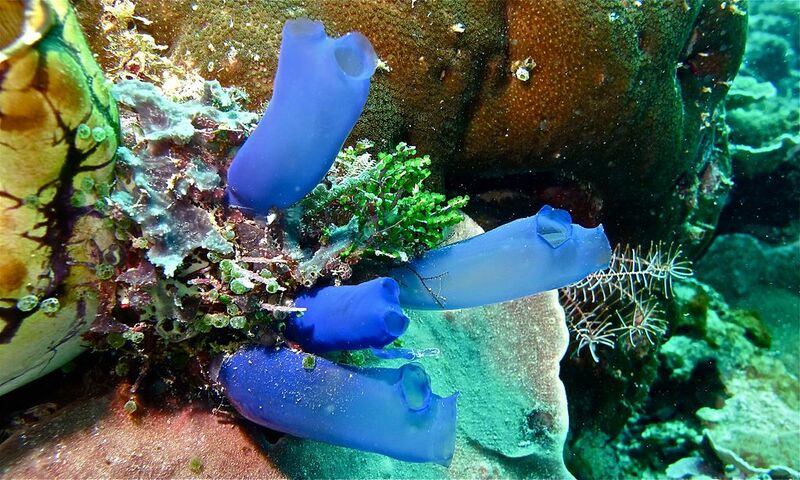 The bluebell tunicate is one of the most common and well known among the group. The blue sea squirts and other tunicates are considered among the chordates. The larva of these animals has a notochord. In the later stage, the notochord disappears. 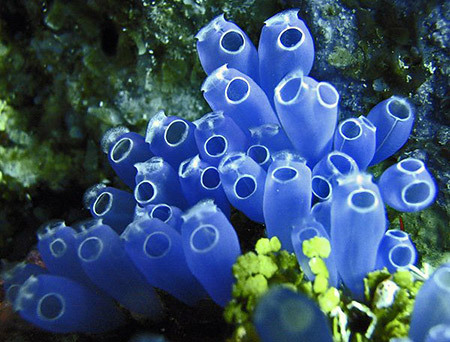 The bluebell tunicates belong are more developed animals than shrimps or crabs or even octopuses. Though they are not smart like cephalopods. The animals have a blue colored skin or test or tunic. The tunic is made of cellulose and other proteins. The tunic is a unique type of exoskeleton. The tunicates need not to shed it regularly like other invertebrates. The exo-skelton grows with the animal. 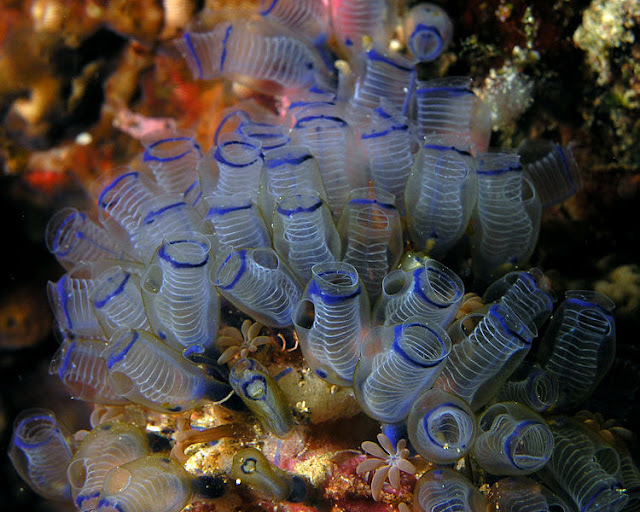 Tunicates are the only known animal in the world which can produce cellulose. It was believed that only plants can produce cellulose. The blue sea squirt is also does the same. The blood of the animal is not red. It is greenish in color. The oxygen is carried by the plasma. There is a "U" shaped heart to pump blood in the veins. The blood is highly acidic. There are also sulfuric acid mixed with it. There are also heavy metal ions in it. Bluebell tunicates are filter feeders. They use a siphon to draw water into the body. 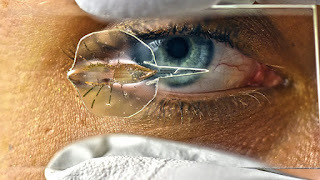 Tiny plankton is filtered inside the body. They have such a fine net to filter food that even bacteria can not pass through it. 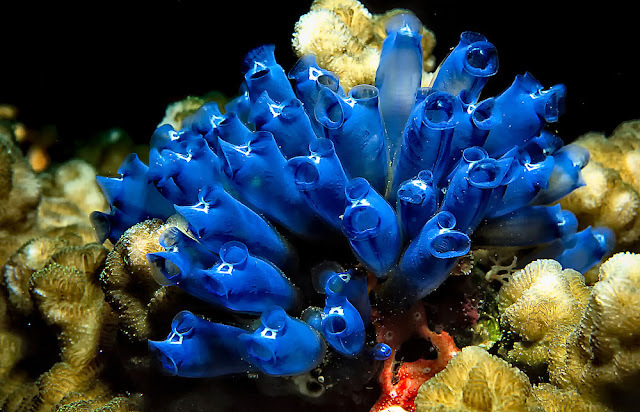 The bluebell tunicates are most common in the waters of the Indo-Pacific Oceans. They grows on dead coral or other hard substances like stones. 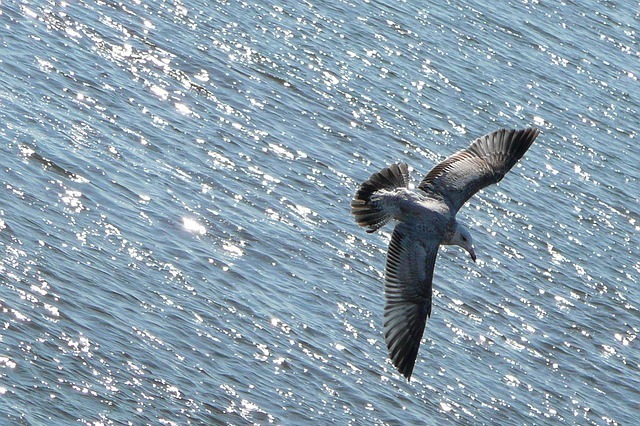 The larva is pelagic but soon becomes a stationary animal.